How to Qualify for a Mortgage! As a first time homebuyer, there is enough information thrown at you from every direction to make you spin and not be able to actually grasp or understand most of it, if any of it. This is why I always recommend for every first time homebuyer to sit down with a realtor and a qualified mortgage professional to discuss their goals and their financial situation. The earlier they do this, the better chance they have of becoming a qualified buyer within their desired timeframe. There are so many moving parts to obtaining financing for a home these days that it can be tricky trying to research on your own and attempting to decipher DTI’s, APR’s, TIL’s and GFE’s. However, despite the intricacies of the mortgage world and the real estate industry, there are certain aspects of this entire realm that remain fairly constant, and that every homebuyer should attempt to understand before moving forward with their home-buying process. Let’s start with credit score. 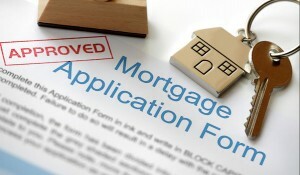 In order to obtain most types of home financing, a lender will want to check your credit score. In addition to requiring a certain score for certain loan programs, the score can also affect the overall cost of the loan due to the credit rating assigned to you by the lending institution. A lower credit score with negative credit history may indicate a higher risk for the lender and this may be represented in the cost of the loan. A higher credit score may inversely produce a favorable result for the cost of your loan. The main thing to understand when evaluating your credit is the reason behind your score, so that if needed, you can take actions to increase your score to obtain more favorable financing for your home loan. There are various aspects that impact your credit score, from the number of open tradelines, to the average balances on these tradelines compared to the overall credit limits for each. Bankruptcies, foreclosures, collections and charge-offs can all negatively impact your score, as well as late payments categorized by 30, 60, 90 and 120 days late. Generally, ideal credit will consist of just a few open tradelines that get used every month, but have minimal carrying balances from month to month and have low balance to high credit ratios. Also, installment loans such as auto loans, student loans, and mortgages carry more weight towards your overall score than revolving tradelines such as credit cards and department store cards. So having debt is not a bad thing, it is actually necessary at some point in order to establish and maintain a good credit score. Cleaning up your credit can sometimes be a lengthy process but many lenders and their credit servicers have systems and processes in place to assist homebuyers with improving their credit and then rapidly rescoring them for an updated and hopefully more favorable score. Always make sure to speak with professionals who specialize in these services. Next I mentioned qualifying documentable income. This is not always as easy as it sounds. If you are a W2 wage earner and have a minimum of 2 years of documentable income then depending on the lender and their guidelines, you will generally qualify to be able to use all of the income. If you however are reliant on commission income, then depending on the lender and the amount of time you have earned commissions, they will be able to use a specific percentage or average of the income earned and will generally require a minimum of 2 years of earned commission income. If you are self-employed then you are in a totally different category and will need to provide full tax returns to calculate your income since there will be certain deductions which affect the amount of qualifying income that each lender will consider valid. Some borrowers may rely on pensions, social security, or taxable retirement benefits. These will all qualify differently based on their tax situation and the frequency and future reliability of incoming payments. These are just a few examples of the various types of income and their different guidelines. Once you identify the type of income that you and your possible co-borrower plan to use to qualify, then speak with your lender to identify their requirements for those specific income types. Don’t ever assume that because you have earned income it will automatically be used to qualify for your loan. Again, make sure to speak with a qualified professional to identify your specific situation. Down Payment and Reserves are a category of the financing process which many people overlook. You don’t necessarily want to always use all the money you have saved for your home as an actual down payment on your home. Your lender may require certain reserves requirements, meaning a certain number of months of future mortgage payments to remain in your bank account to offset other credit risks or to simply appease the end investor. There are also different types of loan programs which all require different types of minimum down payments and will all affect your final monthly payment differently. A good mortgage professional can assess your specific situation and help you identify the best options for you to minimize your monthly payment, maximize your cash reserves, and qualify for the best program available for your situation. Lastly, there are liabilities and the famous DTI. Debt-to-income ratio is a mortgage term you will hear a lot as a homebuyer while going through the financing process. It is simply a measure of your total monthly liability payments as reported on your credit report, divided by your total gross qualifying income. This gives your mortgage professional a specifc percentage which he will then use to determine your maximum qualifying loan amount based on your prospective new mortgage payment inclusive of taxes, insurance, hoa fees, condo fees, mortgage insurance, etc. Generally most lenders will aim for a front-end ratio of around 28 percent, meaning your total mortgage payment including all aforementioned escrows, divided by your total qualifying income should remain at 28 percent or below. Then the back-end ratio, is generally supposed to stay under 41 percent, meaning the sum of all liabilities on credit including the new future all-inclusive prospective mortgage payment divided by your total qualifying income should be at 41 percent or below in order to qualify. These are just used as a rule of thumb and not etched in stone. Every lender will have their own guidelines and investor overlays, but as a general rule to qualify yourself, you can use these percentages to calculate your own DTI. By understanding each of these categories just a little, you can start to slowly see the light at the end of the home-financing tunnel and start to make sense of everything you hear when you finally sit down with your agent and your home financing professional. More importantly, knowing these basic concepts and understanding how they work will help you prepare so that when you finally want to buy a home, you have all of these items in line and all figured out and you limit the number of hurdles in your own home-buying process. I always recommend to speak with a professional in the industry to assess one’s own specific situation or circumstance, but this should provide you with at least some introductory knowledge that will help you bridge the gap. Disclaimer: This blog is not intended to provide legal advice of any sort, if you need legal advice please seek counsel from a licensed attorney in your state. 5 Painting Mistakes That Will Show! #1 Reason to Buy Now vs Waiting! !